Free weight loss programs is about losing kilograms safely, and steadily, rather than through the crash diets which research shows bring only temporary loss, the pounds often returning with a vengeance. Yo-yo-ing also increases circulating blood fats, contributing even further to atherosclerosis, that nasty disease of the blood vessel walls. Diets in general don't work because they don't consider three huge issues. Hunger. Any weight loss program that leaves you constantly famished is doomed to fail. Satiety, or a sense of off fullness, of having had enough, is vital. Sustainable. If you are unable to go on enjoying your food in this way for months, even years, then you will not permanently lose weight. Wellness. A weight loss program that promotes large amounts of foods that research shows are not healthy may get the pounds off, but then you'll simply get sick from other and perhaps worse disease. Any diet that does not address all three of these issues cannot permanently improve your wellness. It's why 95% of folk have not lost weight one year later. In fact, we think that diet is a dirty four letter word that needs to be permanently banished from our thinking and the way we eat; they simply don't work. This is a long and frankly arduous page; take your time, coming back to it perhaps once a week, trying each time to gain one more insight about how to get the pounds off. Rome wasn't built in a day. Soon it will be summer time again in the Northern Hemisphere, the easiest period to lose weight; plenty of salads on the supermarket shelves. Get working in the garden too. I'm not a vegetarian myself, but there many compelling reasons why we should eat more fresh fruit and salads. More veggies too, including legumes like green beans and chickpeas for protein. Why lose weight anyway on a Chiropractic website? Because there is strong scientific evidence that losing just 15 to 20 pounds, or 10 percent of your weight, will dramatically reduce the pain you are experiencing in your joints. If you can grasp the meaning of glycemic index, then you can for ever banish the word diet from your vocabulary; research shows they don't work anyway. What's potting in the garden is our way of getting tasty fresh vegetables. This page was last updated by Dr Barrie Lewis on 14th April, 2019. High protein diets are the mainstay of many free weight loss programs. for every 10% increase in protein intake, there's a 5% increase in cardiovascular disease. And for every decrease in carbohydrate, there's an extra 5% increase in CV disease. But, and it's a big BUT, the general public do not usually recognise and act on these qualifications when choosing high protein + low carb diets." Our philosophy: Eat right day by day, and then you can splurge a little when celebrating. The only really good reason to lose weight is to be healthier. You will look better too, which is not unimportant, particularly as obesity often goes hand in hand with low self-esteem, but that's just a benefit on the side. These free weight loss programs are about doing it in a healthy manner. After all, it is makes absolutely no sense to lose weight in an unhealthy way, in order to be healthier. High blood pressure? Borderline diabetic? High cholesterol? Forget the fad diets, the shakes and particularly the high protein diets. Oddly, also avoid the very low fat diets. Lower down this page you'll see why a low-fat-diet is also an unhealthy way to become healthier! Think rather of limiting your carbs. Sugar, bread, rice, potatoes - that's where our problems often lie, and our free weight loss programs are designed to limit the carbs and excess fats. 1. Drinking more water helps you lose weight? Scientific investigation unfortunately hasn't confirmed this, and there is considerable doubt that it is so, but drinking more water is healthy anyway. Read more about the Toscanini celery soup that the conductor demanded before every concert he gave. 2. Secondly, it is widely believed that the way to lose weight is by pounding up and down the streets before dawn or after work. All you are likely to get is PLANTAR MYOFASCITIS; horrid pain under the feet. Exercise is is certainly good for us, and I don't want to discourage you, but you have to do an awful lot of running to lose just one pound of butter. Our free weight loss programs, changing what you eat, is far and away the best and easiest way to lose that flab permanently. I talk to every overweight patient - once only, firmly - because obesity means pain. It comes in all sorts of shapes and sizes, but the bottom line is PAIN. In capitals. It could be an arthritic knee, or foot, it could be diabetes, it could be a stroke, it could be a fall. Read here the courageous story of an obese man who at 59 fell and broke his hip. It ruined his life. Period; alas you would now need to register to read it, so I've deleted the link. With a Body Mass Index of 32 he was certainly obese. More likely to take a tumble, he'd have fallen harder, and would take longer to heal. The pain was so bad that he became addicted to narcotics; the ANTI INFLAMMATORY DRUGS gave him an ulcer. The long and the short of it? Get it off, or there's pain looming on your horizon. Worse, disability. Our FREE WEIGHT LOSS PROGRAMS are the easier way, and certainly in terms of your overall wellness the way to do it. Anti inflammatory chili is part of the solution to your pain along with extra virgin olive oil. Dual anti-inflammatory drugs like taking aspirin and brufin together increases the risks alarmingly. Why is that seriously overweight people ALWAYS get degenerative joint disease? Obesity and arthritis are kindred spirits, bed-fellows, so to speak. Savour your food. Our free weight loss programs include an encouragement to chew your food slowly, taking note of the colour and texture of the salads, and the smell and flavour of the main course. Give dessert a miss, unless it's just a fresh bowl of strawberries, or a quarter melon; those are the kinds of carbs that are not only allowed, but verplicht as we say in Holland. Compulsory. Most people who are overweight became obese not necessarily by eating too much, but because they enjoy the wrong kinds of foods. Consuming less will help, obviously, but changing what's on your plate is a much simpler way. More important, it's a healthier way; and, done right, you don't need to feel famished all day. Accept it, because it's going to be hard. Anybody who convinces you there is an easy way to lose weight is conning you. Retraining your taste buds to like apples and salads is going to be tough. But the point here is that it will be much less painful than all that goes with obesity; high blood pressure, arthritic knees, painful feet, diabetes, heart disease and important for the chiropractor, backache; you name it, it's coming. Don't think that because this is free that our weight loss programs are not profound or tried. You will lose pounds, permanently and safely. Top of the list, dump that word diet permanently; none of them work. Just grasp the meaning of the phrase glycemic index and it will surely but slowly come off; the right way. I perspire a lot more. I used to just fill up with water. My hands, ankles and my face would get flushed; now I really do sweat more. I don't like the heat or humidity, and still avoid it, but when I'm out in it, I really glow. I feel the cold a lot more; minus 50+ lbs of insulation really makes a difference. I used to walk around with my coat open all the time, but not now. But I know summers will be much better. But the best is it's so nice to be able to hop into the bath, sit down, soak and relax, flip over at will and get up; no problem. I'd stopped bathing, simply because I couldn't get in and out safely any more. My endocrinologist is thrilled also. My cholesterol is down to 120. I usually buy big bags of birdseed; each one is 10 kg. I've just put one on each shoulder; it's hard for me to believe that I've been carrying all that extra baggage all these years. No wonder my feet ached. Now for the next 20 kg. She has taken 8 months to do it. That's a healthy rate of weight loss; aim at one kilogram per week for the first 3 months. Then you can expect to slow down; your body gets more efficient, making it harder. Don't be discouraged, after quitting smoking, this is one of the most important decisions you will ever make. It can be done. Exercise doesn't do much for weight loss, even if you are vigorous, but it certainly tones muscles and even exercise and cholesterol are closely related. By all means exercise more, but don't expect it to take pounds off. Ask any long distance runner; they lose a few kilograms of water, but within a day or two have returned to their normal weight. 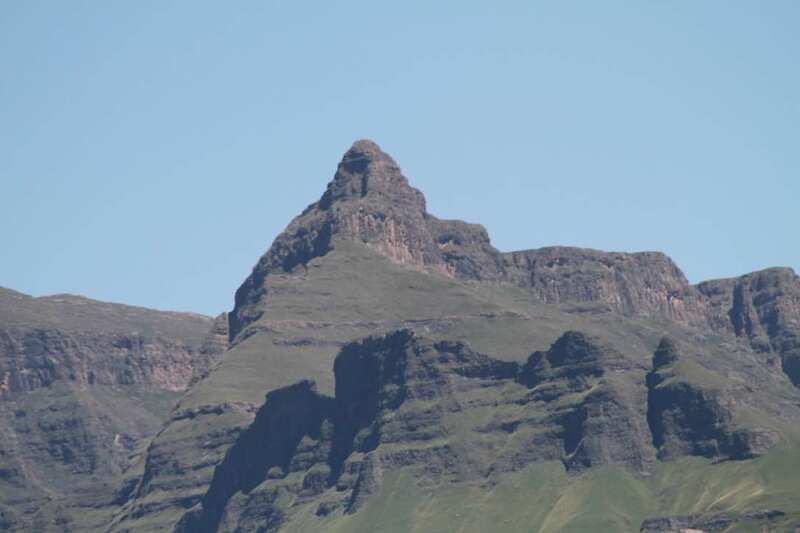 I know it's an anecdote, and of no scientific significance, but recently I hiked up the Rhino peak in the Drakensberg, and down again, 3500' and 21 kilometres, but didn't lose a pound. In short, it's less bad to stay obese than yo-yoing on any one of the many diets. Researchers found that we tend to set unattainable goals; when we can only lose ten pounds of the forty that should come off, we become despondent and put it on again. This is unfortunate as the benefits of losing ten just pounds are enormous; but it must stay off. Pulses are legumes that are harvested for the dry seed; thus green beans and peas are excluded, though I suspect they too would be just as effective. Common pulses would included dried peas and beans, chickpeas, lentils and soybeans. The fibre in pulses delays emptying of the stomach contents into the small intestine. Have a low GI reducing the glycemic index of the whole meal; thus the likelihood of a sudden rise in blood sugar is lessened. The protein in pulses promotes the release of stomach hormones lessening hunger pangs and increasing a sense of satiety. My own favourite pulse is the chickpea which you can make into hummus in only five minutes, once you have the ingredients at hand. Hummus from the supermarket generally doesn't taste good because of all the chemical additives used. Try this quick hummus recipe. But this lady's got the right idea. Low impact cycling and swimming and/or aquarobics are the right way to increase your exercise. Why do the obese usually get arthritis? So, how bad is the problem? 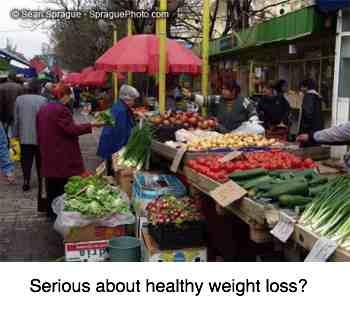 Really, over-weight can be an irritant, a minor problem ... or is it perhaps life threatening? BMI gives you an objective measure of just how serious your problem is. Serious problem: BMI greater than 35. Heart attack, stroke, diabetes, knee and ankle arthritis await you. To calculate your BMI, just fill in your weight and height and you will know the whole truth. It may be painful. Are you literally facing a stroke, death? Am I being overly dramatic? No! A good friend right now is in hospital, fighting for his life, after a bypass that went haywire. I've been pleading with him for over twenty years ... he's only 60. There are a million and one diet books, free weight loss programs and zillions more on the net. Here are just a few thoughts. The easiest way is to seriously limit your refined carbs. That means very little starches, like many breakfast cereals, supermarket bread and in fact all refined wheat products, potato (and particularly a microwaved or boiled potato) and white rice; sugary foods; colas. Very little. Don't limit your low Glycemic Index carbs too hard. Fruit, salads, vegetables, hummus ... They don't stimulate an insulin rush, the hormone that stores fat, to the same extent as refined carbohydrate. Now for something really interesting on retrogradation of starches; if you boil potato, leave it overnight in the fridge, and then reheat it, the molecules bond together making it difficult for the enzymes to digest; instead much of the carbohydrate it goes through to the colon where it's fermented not to glucose but healthy fatty acids. Type 'resistant starch' into the site search function at Chiropractic Help if you want more information; vital for every person who is trying to lose weight to grasp. I particularly recommend tabbouleh bulgar wheat; it a whole grain starch that is particularly resistant and with your salads makes a very wholesome meal. Enough protein to cover the palm of your hand at a meal is just fine. An egg, a small pile of chicken, fish, lentils, hummus, mutton stew ... but don't eat red meat more than once a day. That ups your risk of cancer. High fibre, low GI foods are at the centre of any free weight loss program. Foods like these eggplant recipes. So, here goes, sorry that the build up has taken so long. Free weight loss programs is about simple ways to get extra flab off permanently. Soak one or two tablespoons of a rolled oats based muesli in boiling water for ten minutes. Add any nuts and seeds you love, and perhaps a few raisins, a few strawberries or slices of melon if you like. Zero sugar yoghurt is allowed. It's good to add a tablespoon of freshly ground flaxseed - for the omega-3. Anti inflammatory flax seed for a vegetable source of omega-3. Munch an apple, or similar, non-sweet fruit on the way to work. Although the apple is mainly carbohydrate and fibre, it's what we call a "negative calorie food". An egg, or small piece of chicken, or fish are your high protein foods. No toast. I'm crazy, but I add a tablespoon of hummus to my cereal... then I'm not famished at 11 o'clock. Still hungry? Wait half an hour, and if still feeling short-changed have another piece of fruit. The fad diets are very costly. 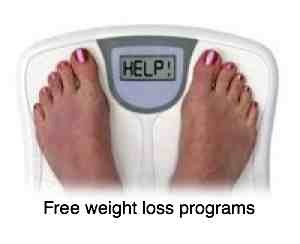 Our Free Weight Loss Programs will save you money. Both in the short term and ... when you start adding up the cost of blood pressure medication, cholesterol medication, diabetes medication... it will save you thousands. Instead you can go on holiday to the Seychelles or some other exotic place! This page was written over ten years ago, and obviously one's tastes evolve. This eight colors eggs Florentine is now almost daily on the menu. Fabulous breakfast menu for a lot more ideas. 1. A very large salad, with as many fresh colours as you can find. Avocado is allowed, in moderation, even though it is high in fat - a healthy mono-unsaturated fat. Again add nuts and seeds, and some feta cheese, olive oil and lemon juice. A table spoon of drinking water if you like your salad damp. A scoop of this quick hummus adds satiety for the whole day. 2. A handful of chicken pieces, or fish. It's become increasingly difficult to find truly 100% grain foods. They are one of the primary reducers of heart, stroke and diabetes diseases. Corn on the cob is one good example, and another is this tabbouleh bulgar wheat. Unable to find decent bread we now bake our own; that too you can enjoy without guilt on our free weight loss programs. 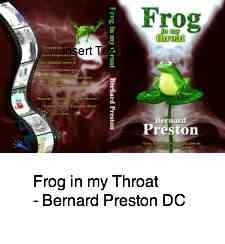 You'll find recipes at my Bernard Preston site. Use the site search at Chiropractic Help. Cold water fish, rich in protein and healthy fat, should definitely be regularly on the menu. The American Heart Association recommends fish at least twice a week. You can certainly enjoy fish on your free weight loss programs, I try to have fish at least THREE OR FOUR times a week. FISH SOUP Make enough for several days. A LARGE vegetable soup, perhaps using our Chicken Bones bouillon, so easy to make and rich in glucosamine chondroitin sulphate. Add ONE teaspoon of brown rice, and a tablespoon (or more) of lentils. Blend your soup for better effect - it stays in the stomach longer. Make enough for three days. At fresh spinach recipes you'll find Bernard Preston's favourite green soup, a great starter for any dinner. There's a strong correlation between low magnesium and arthritis, and spinach is the richest source of this important mineral. 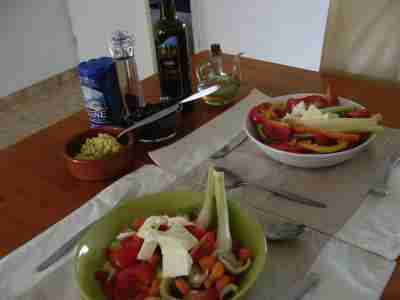 Another Greek salad if you like. One helping of fish or fowl, and occasionally lean red meat (such as our Mutton Stew) are allowed on our free weight loss programs. Cut off the fat. This is your high protein food. Sorry, no dessert, keeping your carbs and the unhealthy fats down. Tofu nutrition and Lentil protein make excellent vegetable protein dishes. In short, almost no carbs. You may be a little hungry and want more. Have more soup. That is the purpose - to make your body burn fat in the absence of carbohydrate for energy. This puts you into a state of what is known as ketosis and, if you are doing it for any length of time, really should be supervised by an experienced nutritionist. You can buy keto-stiks at the drugstore to see if you are going into ketosis. Don't go over 'moderate' unless you are on of the many professionally supervised free weight loss programs. Artificial sweetener side effects include not only an increase in diabetes but also glucose intolerance and metabolic syndrome. They do this by disturbing the normal flora in the intestine which has many other serious side effects too. Many folk find that tea bags and instant coffee are only palatable with added sugar or sweet and low, for example. We agreed and personally returned to making tea the old fashioned way and enjoying filter coffee; they are spoiled by sweetening. Artificial sweetener side effects are indeed disturbing. I was astounded yesterday in the change in her demeanour. Having lost 13 kg she is really a very attractive young woman, now bright and full of enthusiasm. I thought to warn her. The young men are definitely going to be knocking on her door ...! Well done, Deniz, I'm very proud of you! How did she do it, I asked? Not by following my Free weight loss program but simply by cutting out snacking between meals. It all helps. You can enjoy a glass of red wine on our free weight loss program. One, as it contributes to a healthy cholesterol balance and the phytochemicals are also beneficial. Dry wines have very little carbohydrate. Beer unfortunately is a real no-no. ANECDOTE: Every year I go without beer for a month, just to check who is indeed the master. 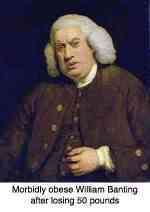 Beer makes a good servant, but a very bad master. I've lost 8lbs in three weeks! Beer is chock a block with calories. Good luck. It can be done! PS. Even if you were to follow something like this three days a week, it would have a very beneficial effect. A few supplements will assist our Free Weight Loss Program. If you are seriously overweight, then you may be on the verge of diabetes, so Chromium tablets are necessary. Then a B12 shot once a week helps metabolise better, and I would take a B complex tablet. And without a doubt, we'll be healthier. Meantime, it does make sense to make a change to more vegetables and fruit. Or even consider Vegan Weight Loss, an extreme but effective way to lose weight; use the site search function. But first, is it sustainable? Whilst walking won't knock kilograms off, the other benefits are so numerous that walking should be a part of all FREE WEIGHT LOSS PROGRAMS - unless you are serious overweight, in which case you should perhaps consider swimming or cycling. Long before considering infertility chiropractic or the more invasive medical procedures, every woman who is overweight and unable to fall pregnant should first consider our programs. The research is overwhelming; the obese woman will have difficulty falling pregnant. The body knows that it is not advisable for many reasons, including the likelihood of diabetic onset. 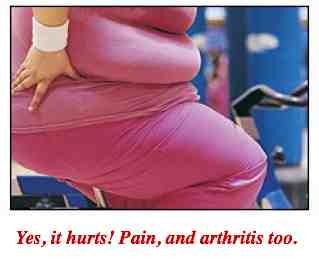 Arthritis and obesity is a two-part review of the scientific literature by Dr Matt Constas; free weight loss programs are not just about looking better. It means a lot less pain and disability too. These are good reasons to consider our free weight loss programs. There has been much interest, and with good reason, since Atkins and beyond, in high protein diets for weight loss. Yet there are many twists and dangers. High animal protein is, in the light of breast cancer and prevention highly suspect. the other with low fat. Both have their merits, but keep in mind that many carbohydrates (like broccoli and chickpeas and apples) are extremely healthy and should never be excluded from the diet. So are some fats absolutely vital for good health. Refusing to eat fish, because it's high in fat, or avocados, or hummus (because it's rich in olive oil) can only be detrimental to your overall health. It's not all about weight loss. Kasch Pulse recovery test; an easy three minute test. Just how fit are you? This simple little test enables you to measure how quickly your heart rate returns to normal after exercise. Banting diet is one of the very successful free weight loss programs. There is now overwhelming evidence that our joints, organs and blood vessels are becoming more and more inflamed. Pathophysiology of Atherosclerosis describes what is actually happening to the intima; the inner lining of blood vessels. And this despite the low cholesterol diets and cholesterol lowering drugs that are the rage. In fact, it would seem that the change to polyunsaturate oils like sunflower and safflower, and hydrogenated margarines have actually contributed to the problem. What is certain is that raised blood glucose, and what is known as glucosated haemoglobin, is at the core of the inflammation. When scientists disagree profoundly, then you we can be sure that no one really knows all the answers. But the high starch combined with low fat guidelines of the last thirty years have made for an obese people; and that means raised blood glucose and insulin intolerance. There's nothing new about the Banting diet; it was first prescribed by the revered Dr William Harvey more than 150 years ago. It cuts totally across everything you've been taught. Butter is back, enjoy your steak and the fat on your pork chops, bacon and eggs every morning for breakfast, but cut out all the carbohydrate. It has its merits, and proponents claim they are never hungry. I have doubts because of the increased risk of cancer from the red meat and high fat; Banting diet rebuttal. Then read our Banting diet modified; it has all the benefits of banting without the risks; and how vegetarians can use it. Avoid hydrogenated foods at all costs.